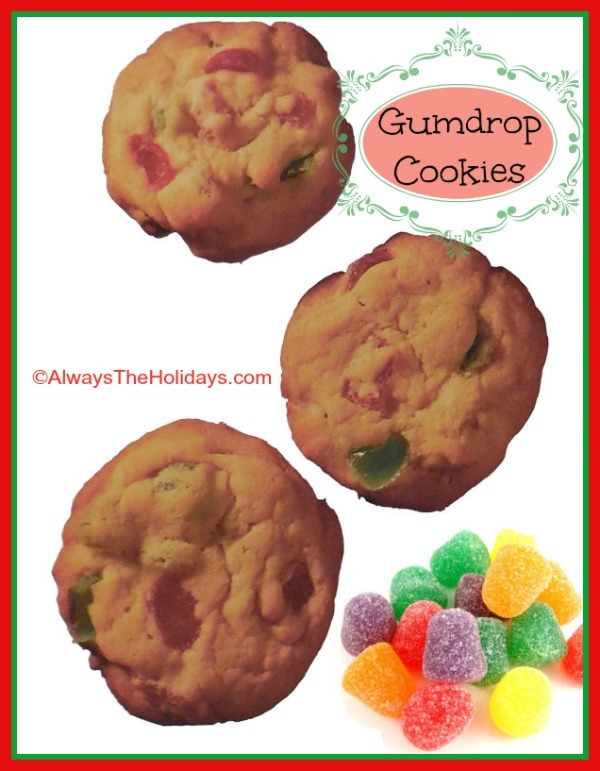 These festive gumdrop cookies are easy to make and very tasty. They would make a lovely addition to your annual cookie exchange. 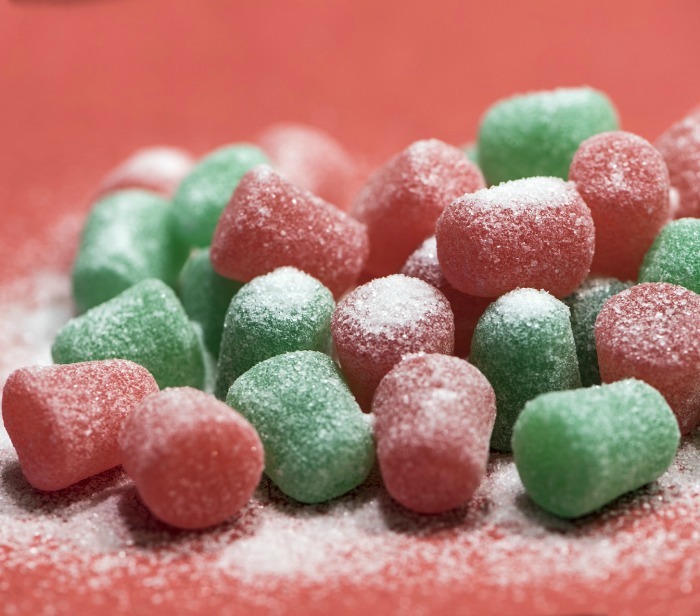 One of my favorite candy choices during the holiday season are gumdrops. Let’s use this sweet treat to flavor some Christmas cookies in style. Do you enjoy making cookies for the holidays? Why not have a cookie swap? This is a great way to share your favorite recipes and also get some new ones from friends. Since you’ll be baking for the holidays anyway, it makes a good idea to turn the process into a chance to celebrate with friends. Cookie swaps aren’t just for Christmas. You can have one for any holiday where you would normally make a lot of cookies, like Halloween or Easter. The cookies are full of flavor with a nice mixture of brown sugar, vanilla extract and butter combined with all purpose flour. Gumdrop candies give the cookies some extra color and texture for the festive season. If you are making these for Christmas, use only the red and green gumdrops. The other colors are fine for other times of the year. Yield: Makes 3 dozen cookies. Beat the shortening and butter at a medium speed with your mixer until softened and well combined. Add 1/2 of the flour, then the granulated sugar and beat until thoroughly combined. Now add the brown sugar, egg, vanilla extract and baking soda. Beat until well mixed, scraping the sides often. For the last step, now add the rest of the flour and mix well. Drop by rounded tsp 2 inches apart on a parchment lined baking sheet. Bake for 8-10 minutes until the edges are lightly browned. Cook on the baking sheet for one minute and then transfer to wire racks to cool completely.